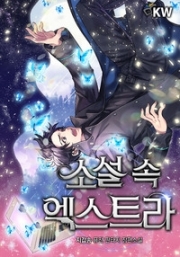 You’re reading novel The Demonic King Chases His Wife: The Rebellious Good-for-Nothing Miss Chapter 1627 online at LightNovelFree.com. Please use the follow button to get notification about the latest chapter next time when you visit LightNovelFree.com. Use F11 button to read novel in full-screen(PC only). Drop by anytime you want to read free – fast – latest novel. It’s great if you could leave a comment, share your opinion about the new chapters, new novel with others on the internet. We’ll do our best to bring you the finest, latest novel everyday. Enjoy! 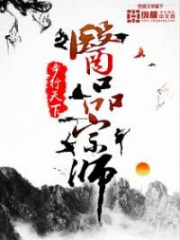 "Su Luo, quickly return to us the white stones we ought to receive." Li Aochen pressured her, step by step, and formed a united front with those two. Seeing the people on the two sides were about to argue, the white-bearded old grandpa suddenly laughed. In pa.s.sing, he even fished out a table, then a chair, to sit on. After which he poured some green tea, having refreshments while watching the good play. Seeing the white-bearded old grandpa having the appearance of watching a good show, the corner of Su Luo's mouth twitched, feeling speechless. From beginning to end, Nangong Liuyun stood behind Su Luo, becoming her most solid support. He gave her all his support and encouragement. "The white stones you guys ought to receive?" Su Luo's indifferent gaze swept across them, her tone light as a feather but carrying an endless amount of sarcasm, "Before when I asked you guys whether you want it or not, what was it you guys said? Especially you, Dongfang Xuan. At that time, how did you answer it? Don't think everyone is like you who can't remember!" "…." No matter how thick-skinned Dongfang Xuan was, under everyone's eyes, wanting to go back on his words, the difficulty of this task was still very high. "If you forgot, I can remind you. You said these stuff didn't have any spirit force, what's the use of having it. If you want it, then take it all. Dongfang Xuan, at that time, isn't that what you said?" Su Luo pressed closer, step by step, forcefully saying, full of confidence. "….." Dongfang Xuan lost the war, switched out to Luo Haoming going up. But before Luo Haoming could speak, Su Luo gave a cold sneer: "At that time, who was it that disdained these white stones would take up s.p.a.ce, so voluntarily abandoned it? Luo Haoming, don't say it was me who forced you oh." Luo Haoming's face turned red, his lips moved, but in the end, being in the wrong, he retreated in defeat. Li Aochen was also the same. But the three of them were unwilling from beginning to the end. Su Luo coldly sneered: "At that time, when we were surrounded by the Hidden-eyed Purple Spiders, who yeld that he didn't have any spirit force? And also, who was it that gave you guys Grandmaster level Spirit Restoration Pill? If there weren't any Grandmaster level Spirit Restoration Pills, would you guys' strength have been restored so quickly? And to safely break out of the encirclement by the Hidden-eyed Purple Spiders intact without a hair being touched?" The three people was silent: "….." They couldn't deny this. "According to reason, I spent Grandmaster level Spirit Restoration Pills, ultimately, the spoils of war should belong to me. This point, no matter where you go, will not be doubted. What do you guys say?" Su Luo's lips hooked into a ghost of a smile. In fact, at that time, she had already thought of the possibility that this dispute would occur. So, she was willing to take out the Grandmaster level Spirit Restoration Pills to give to them. This was called a one-time buy out of the spoils of war. The three people suddenly realized, it turned out Su Luo had already antic.i.p.ated this, that's why she was so generous at that time! "Loathsome girl, it turned out you already thought of this. You already knew these white stones could be used to draw prizes right?" Dongfang Xuan resentfully glared at Su Luo. Grandmaster Rong Yun must have told her in advance, otherwise, why would she gather those rubbish white-colored stones? Dongfang Xuan was certain it was so. "Master simply can't enter the Secret Roaming Dragon Territory. Moreover, we are the first to come in here. So my master simply couldn't have known about these white stones in advance." Su Luo coldly sneered. "Of course, if you don't believe it, I have no way to convince you. I'm not trying to explain it to you but stating a fact." Dongfang Xuan was infuriated until he wanted to go crazy, but was powerless against Su Luo's logic. He could only fiercely turn his face away! Finished settling those three people, only then did Su Luo smilingly consult the white-bearded old grandpa's meaning: "Elder, can I start now?" 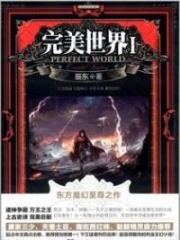 You're reading novel The Demonic King Chases His Wife: The Rebellious Good-for-Nothing Miss Chapter 1627 online at LightNovelFree.com. You can use the follow function to bookmark your favorite novel ( Only for registered users ). If you find any errors ( broken links, can't load photos, etc.. ), Please let us know so we can fix it as soon as possible. And when you start a conversation or debate about a certain topic with other people, please do not offend them just because you don't like their opinions. You're reading The Demonic King Chases His Wife: The Rebellious Good-for-Nothing Miss Chapter 1627. This novel has been translated by Updating. Author: Su Xiao Nuan,苏小暖 already has 1294 views. Current Time is Apr-19-2019 20:30:52 PM.